The BJP, which has governments in 18 states, does not have a single CM in the top ten list. Six out of the top ten richest CMs are from the Congress and the rest belong to the TDP, TRS, BJD and SDF. New Delhi: The Association for Democratic Reform (ADR) on Monday released its report on India’s 31 Chief Ministers, which also included the wealth held by each of them. 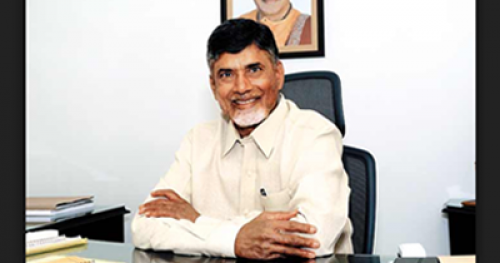 Andhra Pradesh Chief Minister and Telugu Desam Party (TDP) chief N Chandrababu Naidu topped the list of wealthiest CMs with assets valued at over Rs 177 crore. The poorest was Tripura Chief Minister Manik Sarkar, with assets valued just over Rs 26 lakh. Naidu has moveable assets worth Rs 134.8 crore and immovable assets worth Rs 42.68 crore, taking his total over 177 crore. Following Naidu on the list is Arunachal Pradesh Chief Minister Pema Khandu with total assets worth Rs 129.57 crore. Rounding up the top three is Punjab Chief Minister Captain Amarinder Singh, but the Maharaja of Patiala is a distant third with assets worth Rs 48.31 crore. Telengana Chief Minister K Chandrashekhar Rao (Rs 15.15 crore) and Meghalaya CM Mukul Sangma (Rs 14.50 crore) are the fourth and fifth richest CMs respectively. The BJP, which has governments in 18 states, does not have a single CM in the top ten list. Six out of the top ten richest CMs are from the Congress and the rest belong to the TDP, TRS, BJD and SDF. Out of 31 CMs in India, 25 are crorepatis (with assets exceeding Rs 1 crore). Manik Sarkar has moveable assets worth Rs 24.63 lakh and immovable assets worth Rs 2.20 lakh, making his total assets worth Rs 26.83 lakh. He is followed on the “poorest CMs” list by West Bengal Chief Minister Mamata Banerjee who has moveable assets worth Rs 30.45 lakh and no immovable assets whatsoever. Jammu and Kashmir Chief Minister Mehbooba Mufti is the third poorest CM with total assets worth Rs 55.96 lakh. Haryana CM Manoharlal Khattar (Rs 61.29 lakh) and Jharkhand CM Raghubar Das (Rs 72.72 lakh) are fourth and fifth respectively. Among the non-crorepatis, UP CM Yogi Adityanath is the richest with assets worth Rs 95.98 lakh. Adityanath is also the sixth-poorest CM in India. The list of ten poorest CMs in India has five BJP CMs, two from CPI (M), and one each from Trinamool Congress, PDP and JD(U).